State parks are often the forgotten cousins of much larger and well-known national parks, but they contain just as many scenes of striking beauty and opportunities for recreation. One advantage is that they are often less crowded than national parks and provide more peace and quiet for your rest and relaxation–not to mention that they are scattered throughout Wyoming (and all other states in the Union), so your driving distances are often much shorter, wherever you might live. We’ve highlighted several of the state parks here in Wyoming and have included photographs from our collections to give you a taste of what to expect if you visit! Sinks Canyon State Park near Lander, WY contains a great mystery! Water from the Popo Agie River disappears down a sinkhole and reappears from the ground about a mile away. Geologists still aren’t certain of the route the water takes to reemerge, but due to dye tests, they do know that the water source is in fact the sinkhole. 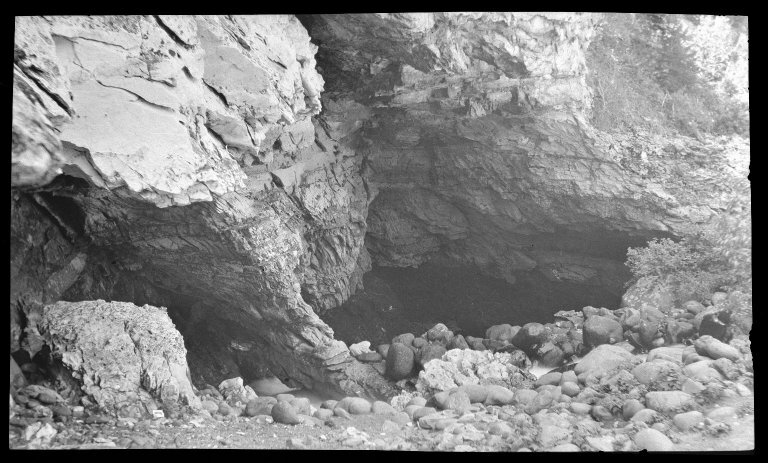 This photo shows the sink hole at Sinks Canyon, sometime between 1900 and 1918. W.B.D. and Annette B. Gray Papers, #1053, Box 20. UW American Heritage Center. Hot Springs State Park near Thermopolis, WY is an absolute haven for travelers who can’t get enough of mineral hot springs. Some pools are meant for admiring above the water, while others are perfect for taking a relaxing dip. The mineral formations are astounding! 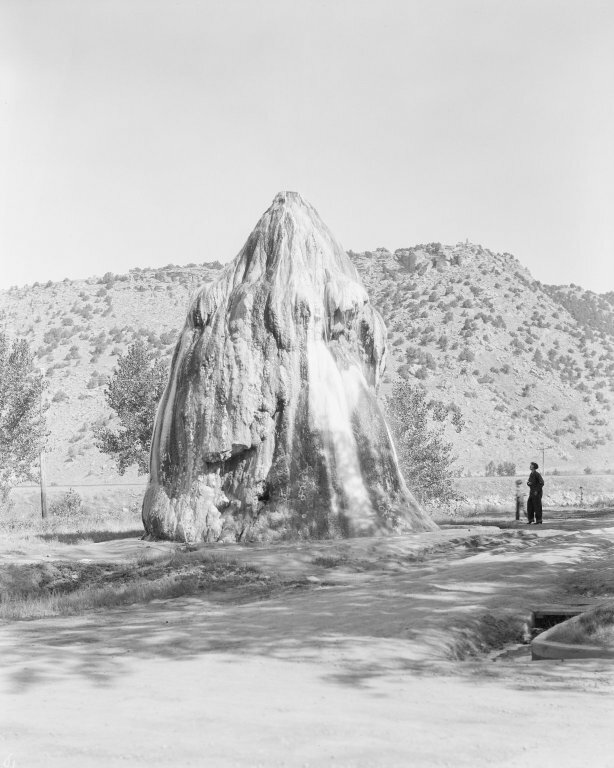 This undated photo shows the Tepee Fountain in Hot Springs State Park. Ludwig – Svenson Collection, Accession Number 00167, UW American Heritage Center. Guernsey State Park near Guernsey, WY offers plentiful opportunities for boating and fishing, but also has some fantastic examples of buildings constructed by the Civilian Conservation Corps during the 1930s. Many of the hiking trails built by the CCC have been restored and visitors can access these as well. This undated map shows the mountains near Douglas, Guernsey, and Lusk. 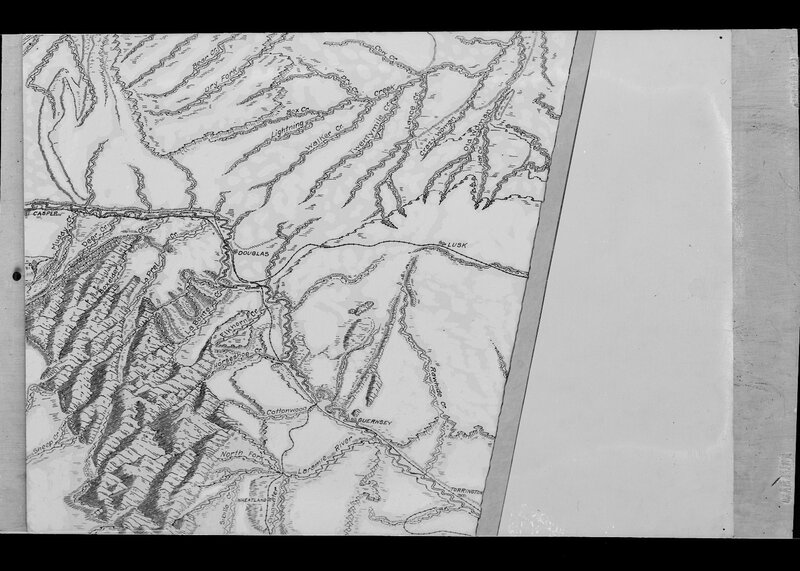 If you click on the image and take a look at the area near Guersney, you can see that the Guernsey Dam and Reservoir have not yet been built, which means this map probably dates from before 1925, when dam construction began. Samuel H. Knight Collection, #400044, Box 103. UW American Heritage Center. Seminoe State Park, near Sinclair, WY, is another reservoir and recreation area that offers hiking, fishing, and boating opportunities. There are sand dunes nearby, where off-road vehicles are permitted. 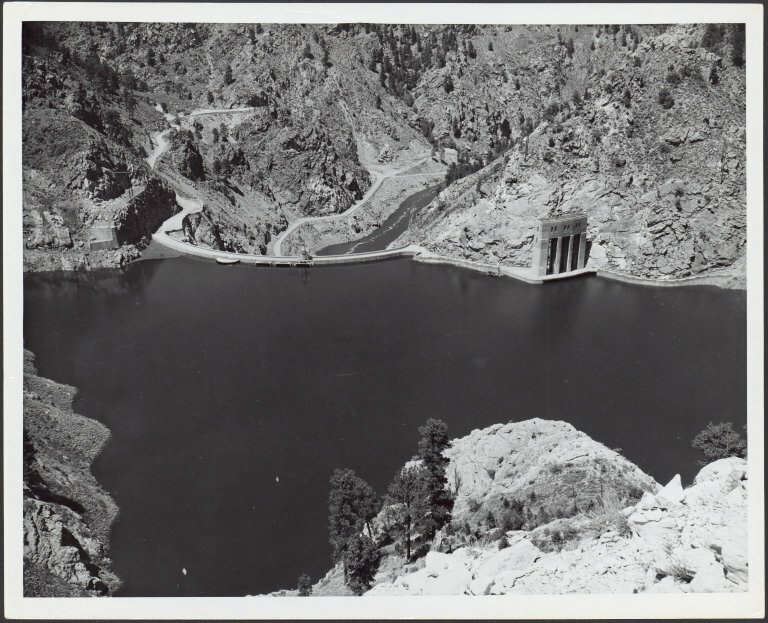 This undated photograph shows the Seminoe Dam and Reservoir. Visitors will agree–it looks very much the same today! Photofile: Dam-Seminoe. UW American Heritage Center. The next time you’re traveling through the state or looking to plan your next getaway, look past the usual suspects–Yellowstone and Grand Teton National Parks–to find some lesser-traveled roads. You’ll find more information on Wyoming’s state parks and historic sites here. State parks make summer more fun! This entry was posted in Local history, Recreation and tagged Wyoming State Parks. Bookmark the permalink.